Raven Smay is a mixed media artist who lives in New York. Her experience as a Nigerian living abroad informs her artistic approach. With a BA in painting from University of Uyo, Smay is currently working towards an MFA from Columbia University in New York. She has taken part in an artist residency supported by UNESCO and was awarded the ResArtis Award at the Dakar Biennale in 2007. The artist has shown her work at solo exhibitions in Lagos and in numerous international group exhibitions, including the Global Africa Project at the Museum of Arts and Design, New York in 2010. 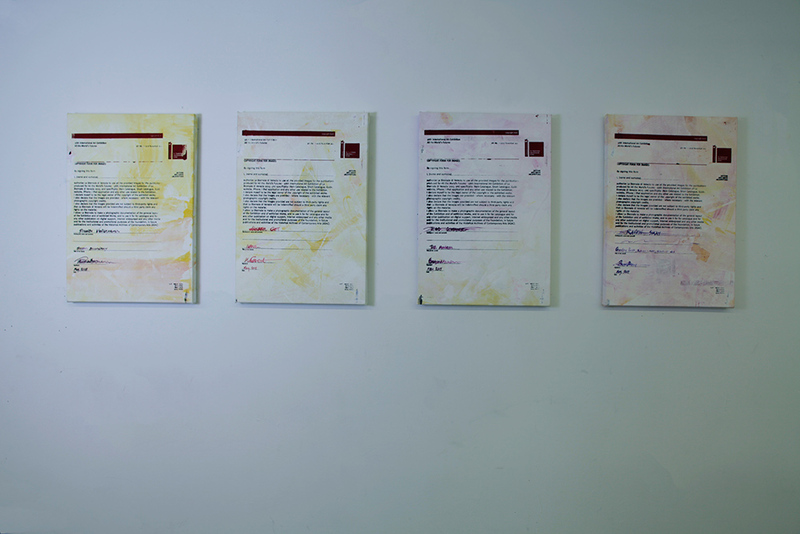 Smay’s art explores the multi-faceted nature of transnational identities. African artists who gain coveted success internationally are often marked by their national identities as they attempt to navigate the global art world. 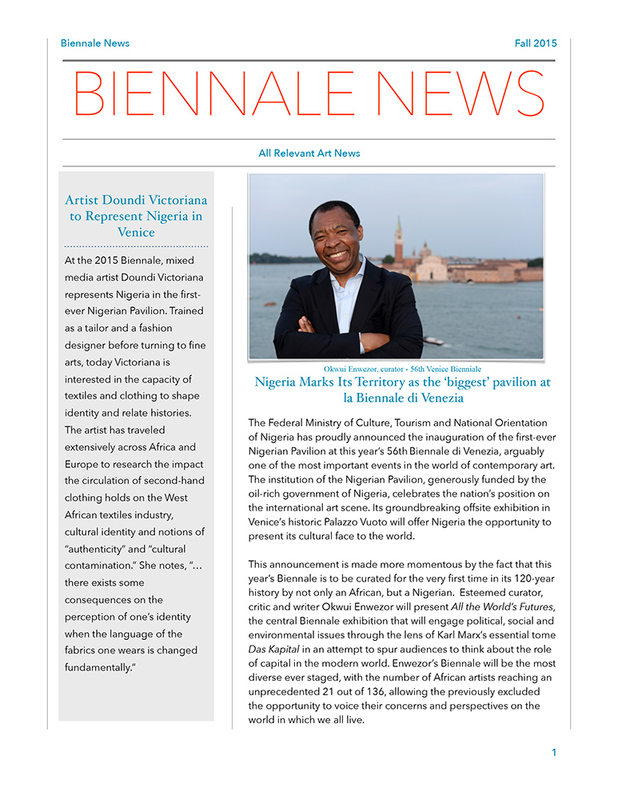 Despite earning recognition from prestigious institutions and displaying their work in acclaimed international exhibitions, African artists must continue, time and again, to confront strict regulations that police their movement across national boundaries. Through an often socially engaged practice, Smay calls attention to the darker side of transnationality for artists from the formerly colonized world. 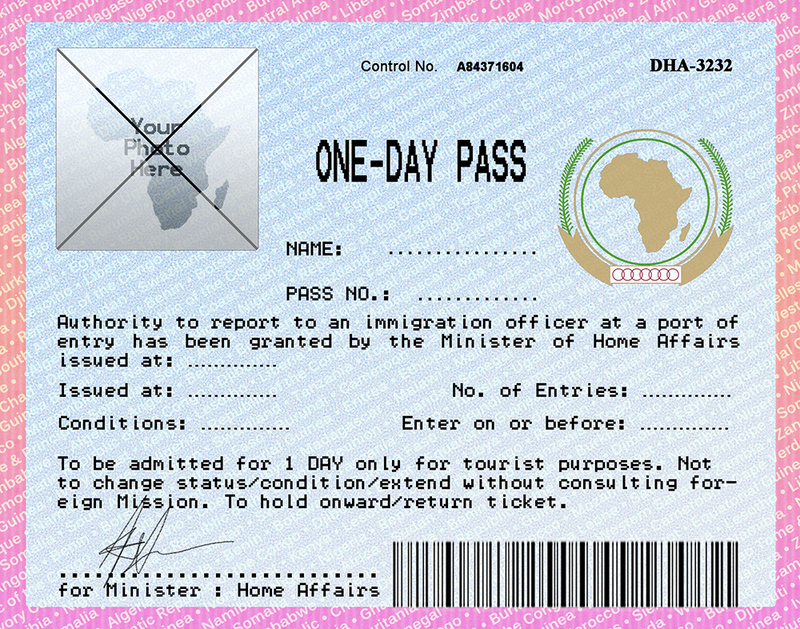 Visa calls attention to the roadblocks national borders pose to the success of African artists on the world stage. 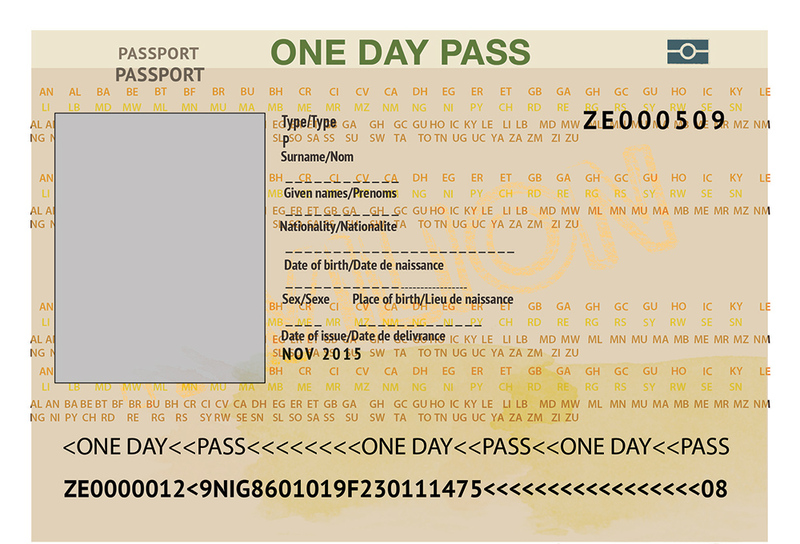 Though the discourses surrounding globalization and transnationality uphold the notion of a borderless world, those borders are open only to a privileged few. 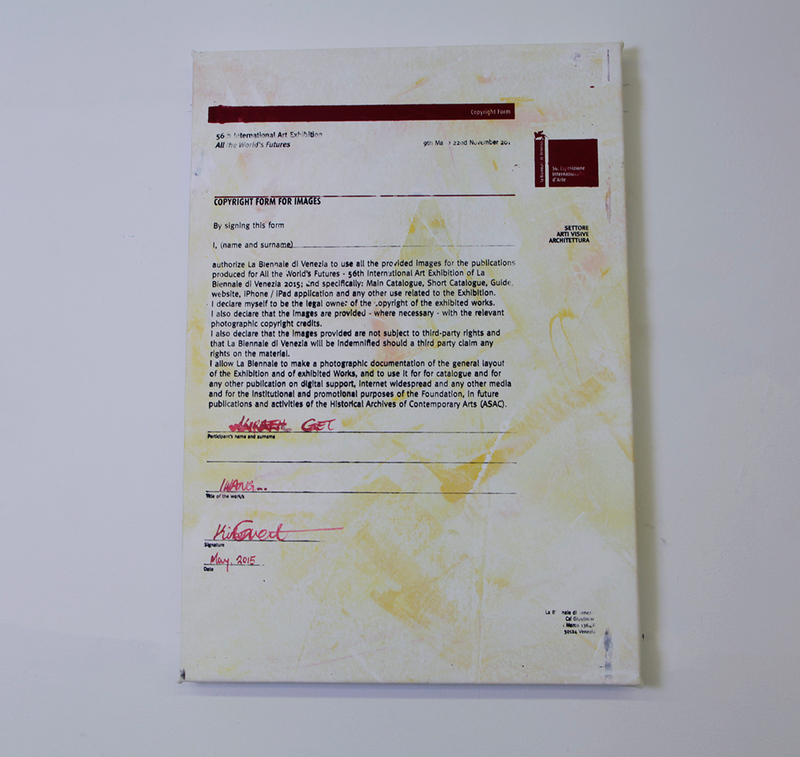 These paintings reproduce the forms artists exhibiting work in the Venice Biennale must sign, exposing the bureaucratization that undergirds such an extensive and expensive art event. 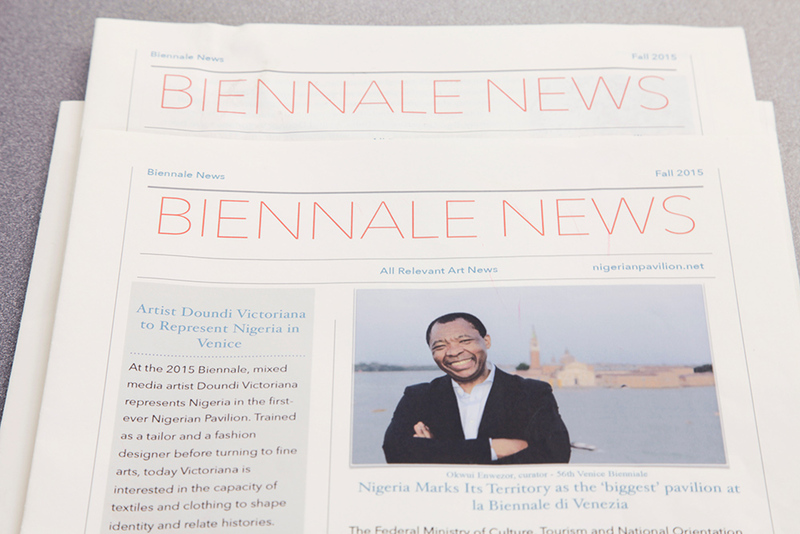 Biennale News critiques the rapid pace and Western bias of contemporary news media. The news covered draws attention to the manipulation of the coverage of current events to privilege the points of view and well being of certain communities over others. The paper aims to expose the realities and injustices experienced by those overlooked and ignored through media bias in order to forge awareness of our global interconnectedness.